You never change things by fighting existing reality. To change something, build a new reality that makes the existing reality obsolete. 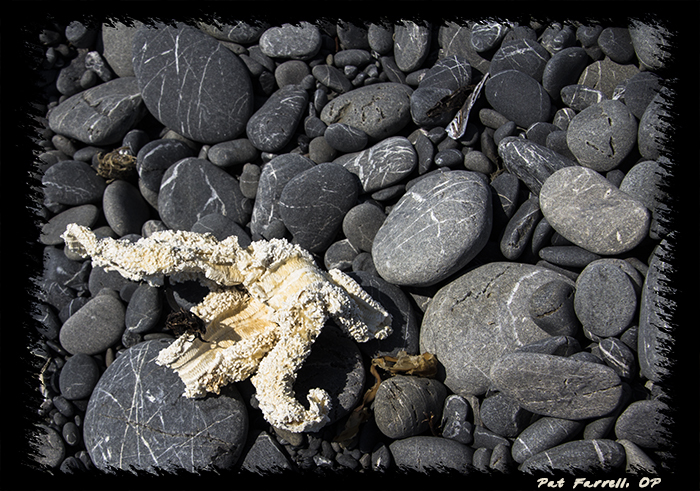 The reality of this starfish is not what it once was; nor can it go back to it. I was struck not so much by the starfish in your photo but by the polish stones and how they have been transformed into a new reality by the wave action. Thanks for creating space to consider a new reality.